Move the slider to select a different problem. Check the boxes to see the answers. 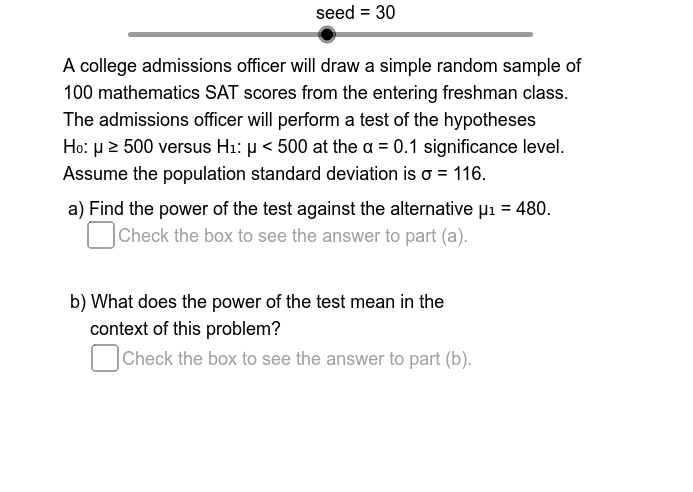 This applet is based on problems 11 through 18 on pages 467-68 of Navidi & Monk, "Elementary Statistics", 2nd edition.